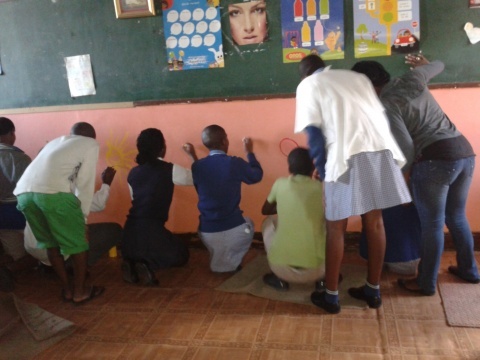 Tutors from Nyanga branch were appreciated for all their hard work and dedication for the past six months and more especially their commitment at the winter school. 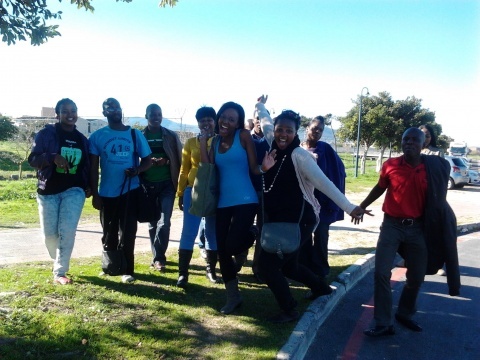 Tutors went to Grandwest on Saturday afternoon after the fun day which included learners from all the Western Cape branches and staff. The afternoon was filled with excitement and enthusiasm from morning till end. 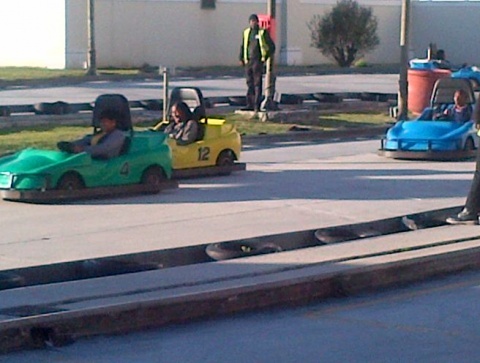 At Grandwest the tutors played games, go karting, bowling and more. 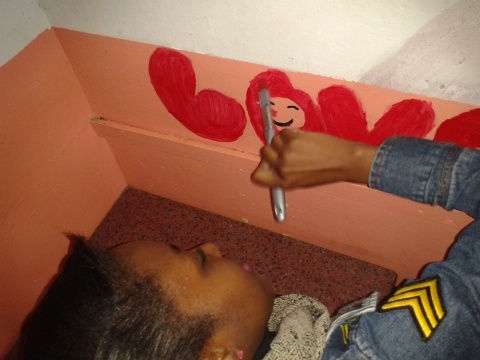 The time together allowed the tutors to bond and get to know eachother more personally. This was a great opportunity to share ideas of how Nyanga branch can improve, as this was a more relaxed atmosphere. 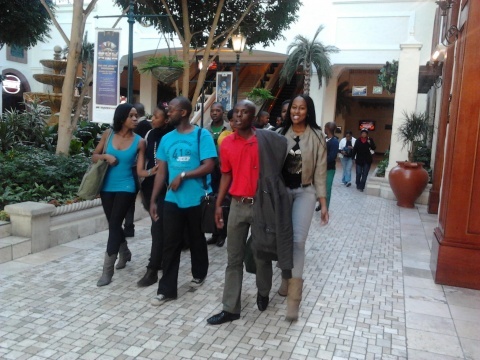 Viwe Mgoqi our intern said “the afternoon was great and the games were fun”. 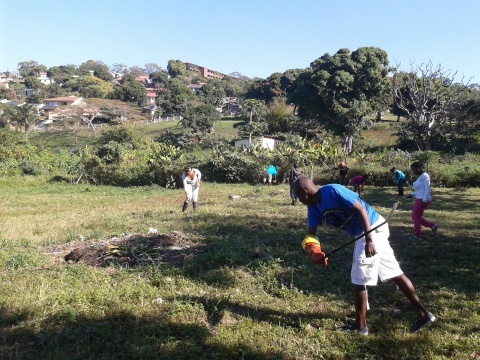 “was just awesome being outside the office with the gang, everyone was just having fun and the change of environment was just what I needed” Busiswa Dayimani also a nyanga intern added. Our tutors are now hyped up for tutoring and for the rest of the year, helping out and volunteering their time to the learners. The future is even brighter now for Nyanganites. 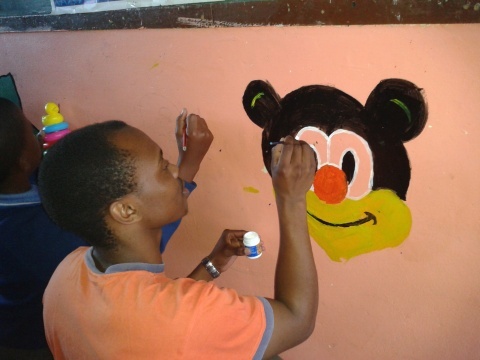 Tuesday 24 July was an exciting day for the Ebony Park learners as they continued in the spirit of Mandela Month by giving back to their community. 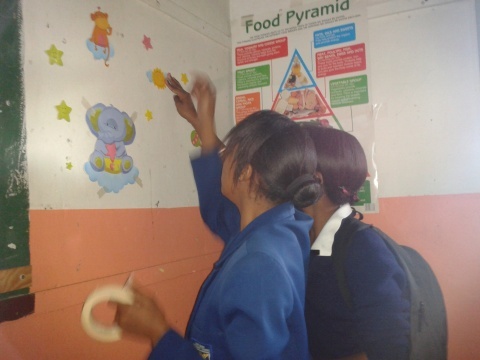 “Charity begins at home,” most learners said, whilst they decided on where exactly in the community they would spread the Mandela Month spirit. 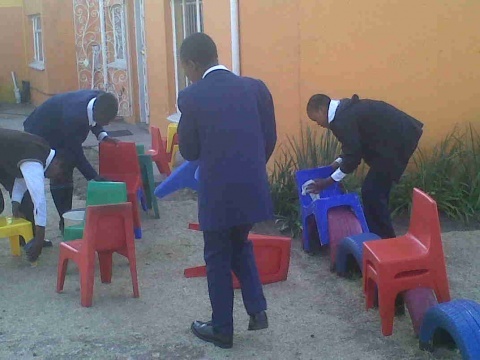 Our Ikamvanites decided to give back by going to a Nursery School called Mission House located on the same premises as IkamvaYouth. 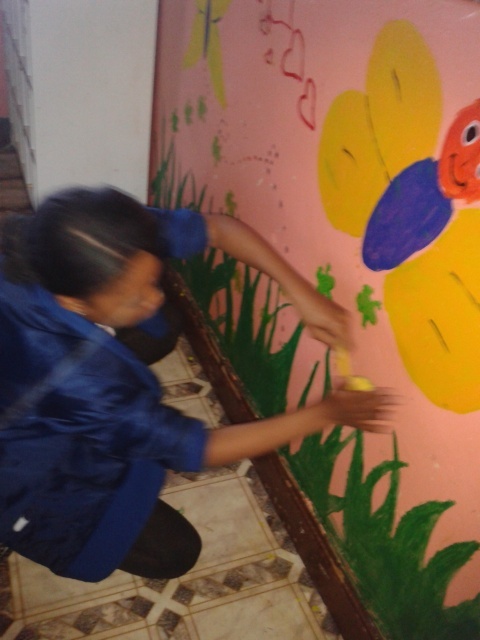 The afternoon was filled with different activities including cleaning the house, decorating and painting the play areas. The principal of the School, Mrs Lindiwe Nxusa, was so overwhelmed with gratitude that all she could do was hug everyone close to her. She has encouraged our Ikamvanites to continue with all the great work. Mandela Day is a call to action for individuals – for people everywhere – to take responsibility for changing the world into a better place, one small step at a time, just as Mr Mandela did. We are all determined to play our part in making South Africa a better place for all. The cool kids on the block, Nyanga and Makhaza got their mascara and trendy threads out at winter school for a collaboation with Live Magazine. Have a look here at a behind the scenes look at what happened when our stylish fashionistas got their hands on cameras and were let loose to scout locations around UCT for the perfect shot. They have also uploaded some of the stories writed that week on the Live magazine mobile channel. 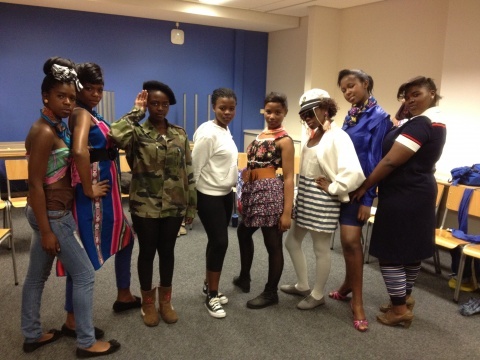 Huge thanks to Nkuli, Julia and the Live Magazine team for such awesome workshops! 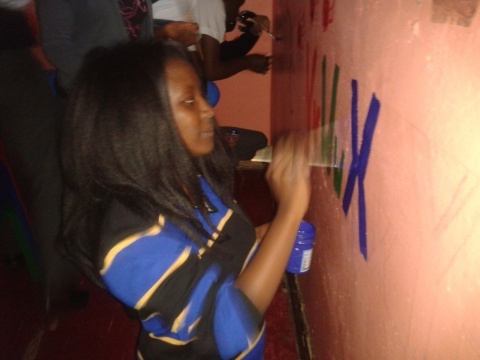 Wednesdays is usually Homework Sessions at our Vuyani Nkosi Memorial Youth Centre but all that changed for Mandela Day, where we dedicated 67 minutes of our usual 2 hour sessions to giving back once again to the community. The overarching objective of Mandela Day is to inspire individuals to take action to help change the world for the better. 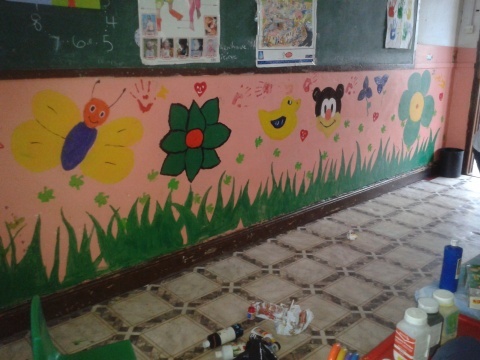 Well with the future in their hands, this is what IY’s Chesterville learners had in mind for their Mandela Day. St. Anthony’s Church has a mission which houses abused women and children. 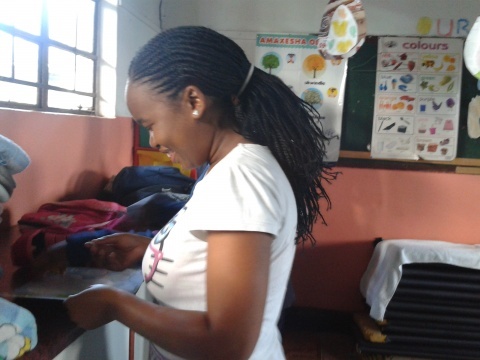 Mothers who live at the mission with their toddlers, have the pleasure of having their young ones attend a pre-school located in the premises of the church. 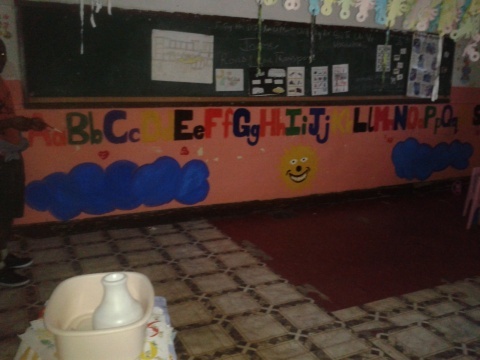 These 2 classes are separated – one being for infants and toddlers while the other is for grade 0 learners. having been the first black president in 1994. 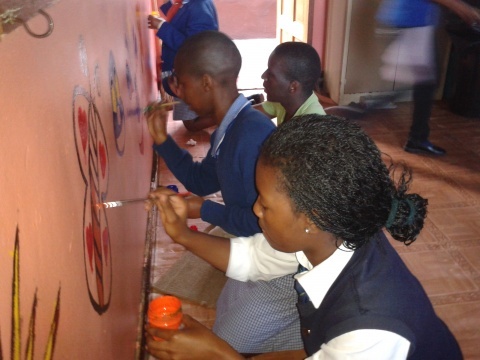 Read a snippet about the event on the official Mandela Day site. held on the morning of Thursday, 28 June. 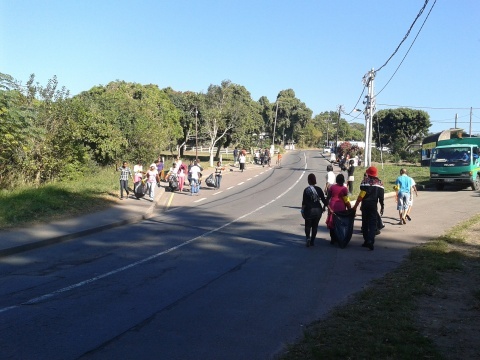 between the municipality, Engen and the Association of Waste Management. 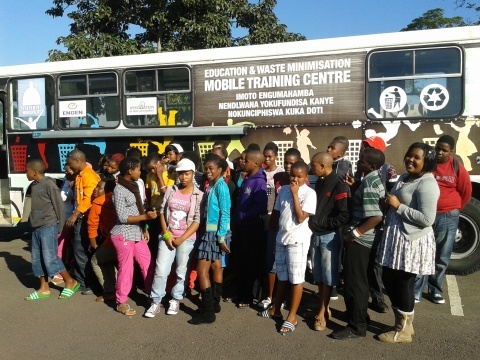 about recycling and gave learners ideas on household waste they can recycle. the support and cheers of local community members. mission as well as clearing the yard of weeds. 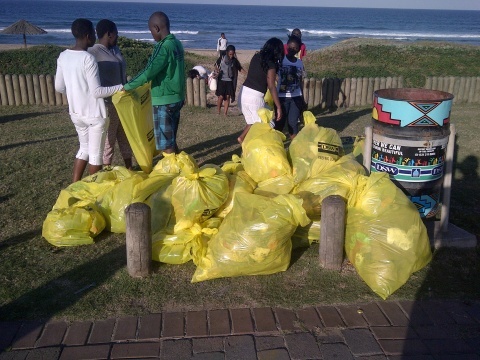 combating the negative impact waste has on the environment. picking up waste in the neighborhood. 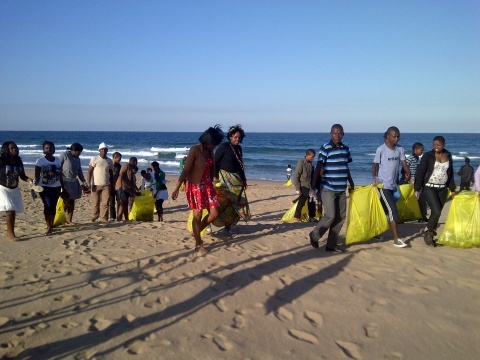 give back to their environment, by cleaning up the litter in the area. 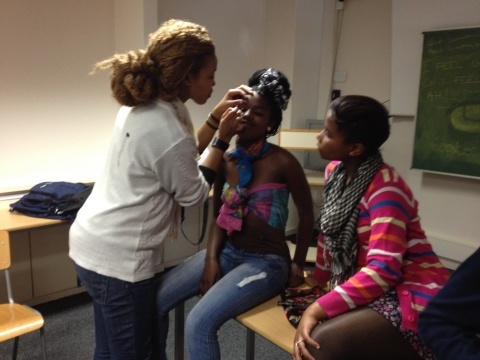 few minutes that the learners were there (just under 30 minutes) was a real eye opener. 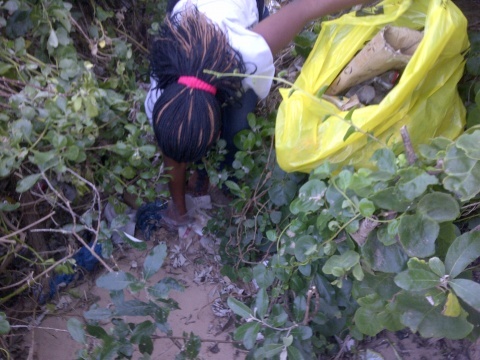 Learners really got to see just how bad the issue of pollution on our beaches actually is.